Cell scramble: Silencing fly genes akin to those on human chromosome 16 can disrupt eye development (bottom row). The absence of several interacting genes underlies the developmental problems seen in people missing a segment of chromosome 16, a new study in fruit flies suggests1. People lacking this segment, 16p11.2, have varied features, including intellectual disability, an enlarged brain, seizures, obesity and autism. In the new study, researchers inactivated fly genes that correspond to those within this region in people. The effect of knocking out two genes is not always equal to the combined outcome of inactivating each gene separately, they found. In many cases, the effect is less than expected, suggesting that the two genes involved collaborate in some way. Most efforts to understand the consequences of large mutations in DNA have focused on finding a single causative gene. The new work suggests that approach is limited. The work also highlights possible interactions between genes within the deletion. The researchers first knocked down each of these genes, either throughout the fruit fly or in only the eye, wing or nervous system. They used a technique called RNA interference, which relies on RNA molecules to silence specific genes. The single-gene knockdowns produce a variety of effects: Nervous system deletions tend to lead to motor problems, for example. Other knockdowns cause seizures and disrupt neuronal growth; some are lethal. The researchers then chose four genes that, when silenced, have the most severe effects on the flies. They knocked out each one of these genes, in combination with knockdowns of each of the other 13 genes in the eye. Of these 52 paired knockdowns, 20 produce effects that differ from the combined effects of each gene on its own. For example, inactivating the gene MAPK3 alone causes cells in the eye to be disordered. Silencing a second gene, C16ORF53, restores normal eye development. This suggests that the genes are modulating each other in a complex way, Girirajan says. The interactions are not limited to genes within the 16p11.2 region: The researchers identified 18 fly genes that correspond to human genes involved in brain development and 32 associated with neurological conditions. They knocked down these genes along with one of four corresponding fly genes. In 52 of those 222 pairs, the effect of the paired knockdown differs from that of each knockdown combined. Interactions between the 16p11.2 genes and the ones outside the region may help explain why people with 16p11.2 deletions have such varied features, Girirajan says. Girirajan’s team also measured cell growth in fly larvae and pupa. 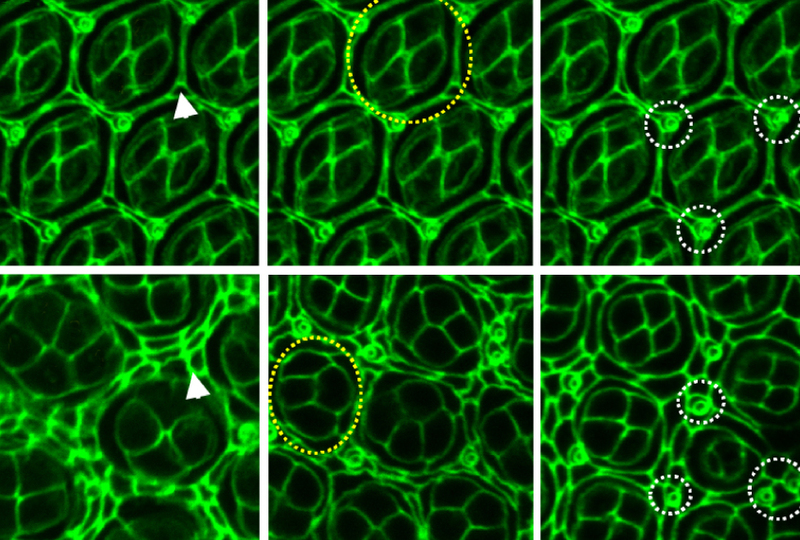 They found abnormal numbers of dividing cells in some of the single-gene knockdowns, but the defects sometimes disappear when another developmental gene is also knocked down. The findings suggest that genes both within and outside the segment are part of signaling pathways that regulate cell proliferation, says Girirajan. The study was published in June in Nature Communications. It’s not clear how genetic effects on eye development in a fly relate to human development, however. “There’s a lot of hard work that lies ahead in trying to connect those to developmental phenotypes in mammals,” Sebat says. The study would have been stronger if the researchers had explored the gene interactions they identified in more depth, says Hazel Sive, professor of biology at the Massachusetts Institute of Technology, who was not involved in the work. “There was a lot of data reported, but very little analysis of its significance,” she says. In a study last year, Sive and her colleagues identified two genes that cause seizures and obesity in zebrafish, but only when they are both knocked down2. The team was then able to identify a surprising potential mechanism for this effect, Sive says. Girirajan says his group is trying to better define the molecular pathways underlying the interactions they identified. They are also exploring interactions within other chromosomal deletions linked to autism and other developmental disorders.